The rule, passed by the Bay Area Air Quality Management District (BAAQMD), reigns in toxic emissions at facilities varying from oil refineries to mom-and-pop dry cleaners. The unanimous vote is considered a victory for local environmental groups and communities living in the shadow of the Bay Area’s worst polluters, such as Chevron in Richmond. The rule would require sources such as refineries and chemical plants to reduce the health risk from certain pollutants to below “10 in a million.” This means 10 out of every 1 million people exposed to the toxic emissions run the risk of contracting cancer. The current threshold is 100 in a million. An analysis of the Bay Area’s nine counties showed the rule could affect an estimated 400 facilities. Commercial gas stations and locations that use only a backup diesel generator will not be impacted by the rule. In Richmond, at least 16 facilities would need to update technology or change practices to meet the new standard. High-priority sites include the Chevron refinery, the Chemtrade plant and the West Contra Costa County Landfill. Under the rule, the air district will measure and inventory the toxic contaminants that a facility produces. If they are more than the 10 in a million threshold, facilities have five years to make reductions. They can appeal to the board for an additional five years. All in all, the process could take up to 10 years. “Adding more bureaucracy based on purely hypothetical computer models would be a costly mistake,” he wrote. A spokesperson for Chevron did not respond to requests for comment. In the district’s packed hearing room on Wednesday morning, a small army of industry representatives made a last ditch effort to postpone the vote. Royal Dutch Shell, which operates a refinery in Martinez, sent a delegation at least 20 strong. Chevron sent more than 30. Representatives from Phillips 66 and Endeavor (previously Tesoro) were also present. So were environmental activists from 350 Bay Area, Communities for a Better Environment, Friends of the Earth, the Oakland Climate Action Coalition and the Environmental Defense Fund, among others. 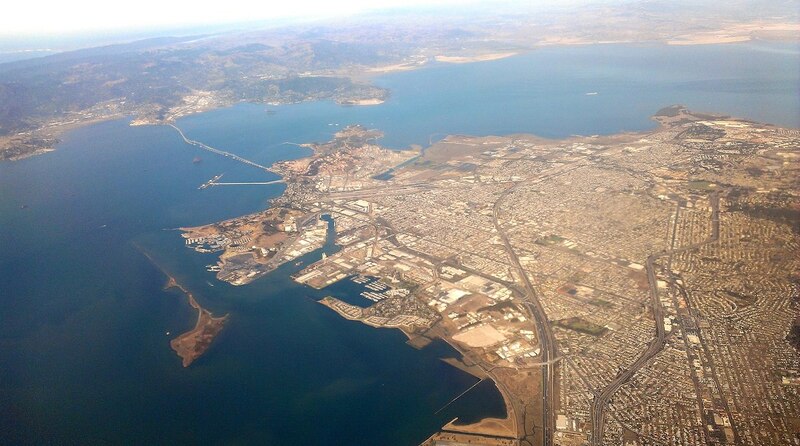 “The worst cancer risk is not around the refineries, it’s elsewhere in the Bay Area. We are, merely by this rule, creating the illusion of making a difference,” one commenter said. “We need to begin working toward some justice for the communities that live with this air quality every day,” another told the board. Other air districts — such as the South Coast Air Quality Management District, which is responsible for the greater Los Angeles area — have set the threshold at 25 in a million, and oil industry representatives would like to see a similar standard set for the Bay Area. A case study of the Chevron refinery showed that with the rule’s 10 in a million threshold, more than 8,000 people would see a reduced risk of exposure to toxic air contaminants. With the less stringent 25 in a million pushed for by the oil industry, fewer than 600 people — most living in Richmond’s wealthy Point Richmond neighborhood — would benefit. “Why is 10 people dying from cancer from toxic emissions acceptable?” Sonoma County Supervisor Shirlee Zane asked. Can ‘community ambassadors’ untangle Richmond’s relationship with the police? Thanks to all the committed environmental activists for your work towards a healthier environment for us all. In the future -should we have one- you will all be viewed as the sane ones while people will wonder how the polluters could be so resistant to seeing the error of their ways.